It’s increasingly rare to see turf lawns here in Tucson as our community becomes more committed to water conservation. Using the desert’s most precious resource wisely is definitely a good thing, and opting for gravel over a thirsty lawn is to be commended. “Thirsty” is the key word in that last sentence, however, as some new drought-resistant varieties of LEED-certified buffalo grass are teaching us that not ALL turfgrasses are our enemies. 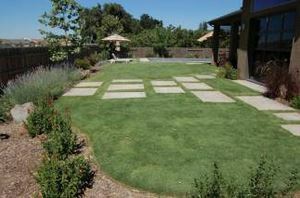 Despite turf’s reputation for water use, a well-maintained, healthy lawn offers many important environmental benefits. Turfgrass helps prevent soil erosion and water runoff, traps dust and air pollutants, cools the atmosphere, reduces glare and reflected heat, improves soil structure and composition, produces oxygen, reduces fire damage (and the potential for fire in general), and helps prevent pollutants from filtering into our groundwater. With all of these wonderful benefits, it’s exciting that there are some low-water lawn options for those of us who still desire a little patch of green. For the past several years, Civano Nursery has been running our own trials of the buffalo grass varieties recommended for the Southwest, and we’ve found ‘Prestige’ to be the best performer by far. This buffalo grass hybrid, developed by the University of Nebraska, uses up to 75% less water than traditional turf varieties, and grows well on drip irrigation. Its soft, fine blades slowly reach a maximum height of about 5 inches, which means that it requires significantly less mowing. ‘Prestige’ boasts a super-low rating of 1 on the OPALS/TM scale, which ranks the allergen potential of garden and landscape plants. 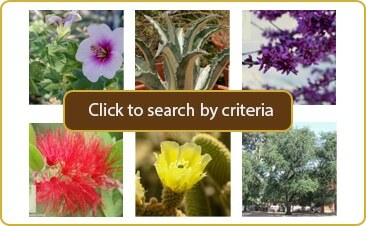 It is highly resistant to insect pests and disease, and its thick growth helps prevent weeds. We’ve also noticed that this cold-hardy grass develops less thatch, keeps its bright green coloration in sun or filtered shade, and greens up earlier in the spring than any of the other buffalo grass varieties that we’ve trialed. With a cold hardiness of -20°F, this turfgrass is suitable for both our hottest and our coldest climates across the state. In short, ‘Prestige’ is an exceptional new variety of buffalo grass that just might help reverse the stigma associated with turf lawns in Arizona. We have this grass available in fully-rooted, easy-to-plant plugs. Each plug spreads quickly to about a foot in width, and there are approximately 100 plugs per tray. Click here for a printable PDF with more information about ‘Prestige’.